Patti Olivas was a stewardess during the Vietnam Wartime and brought soldiers to Vietnam and back home again to a horrible "Welcome Home". Patti Olivas founder of "Welcome Home El Paso Vietnam Veterans" and Nancy Chapin - fellow stewardess. 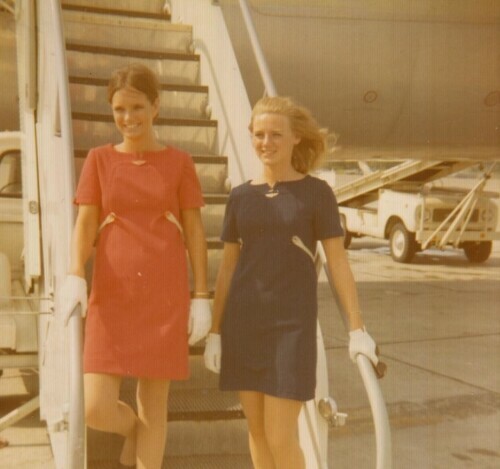 These are all stewardess during the Vietnam War Era. Right to left: Mary, Phyllis, Lois, Nancy, Donna and Patti Olivas. They worked for Overseas National Airways - transporting Vietnam soldiers to Vietnam and back home again. The original Overseas National Airways Inc (ONA) was an American airline, formed in June 1950 as a supplemental air carrier. It ceased operations on September 14, 1978. The airline started as Air Travel in 1946 and was renamed Calasia Air Transport the same year. The name changed to Overseas National in 1950 when it became a supplemental air carrier. 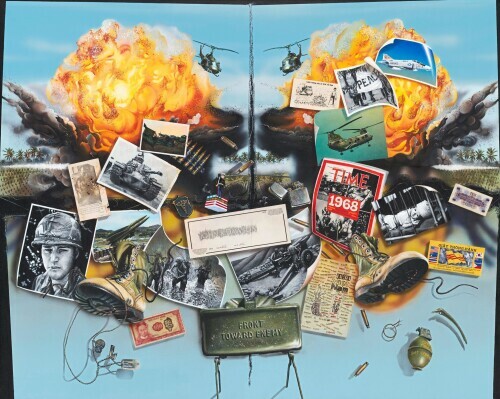 Denham Clements, Captain, USMCR - created this painting. In the summer of 1967 the US Marine Corps sent Denham Clements and several other select officers to Ft Bliss to attend the US Army Air Defense School before being sent to Vietnam. El Paso, Texas: City Rep. Acosta, Dist. 3, Chair for the Welcome Home El Paso Vietnam Veterans (WHEPVV) Committee in coordination with the City of El Paso Museum and Cultural Affairs Department (MCAD) invite our El Paso Vietnam Veterans and their families to upload photos of when they served in Vietnam and current photos to the DIGIE/Digital Wall. 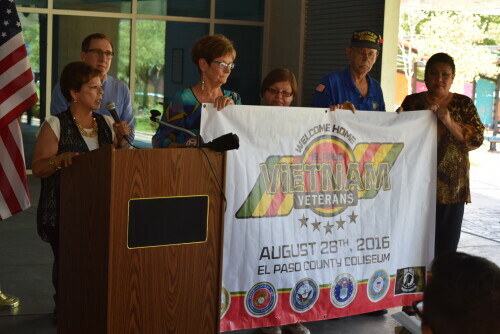 The photos will be displayed and part of the historic Welcome Home El Paso Vietnam Veterans Events that are scheduled for August 2016. The main event will be on August 28th with a downtown parade followed by a reception, dinner, concert & dance at the El Paso County Coliseum. In addition to the August 28th event WHEPVV committee will be hosting eight (8) events the entire month of August 2016, primarily in downtown El Paso. Photograph - families uploading photographs of Vietnam Veterans. Mr and Mrs. Sullivan on their wedding day in 1983. Charles L Sullivan who was a Vietnam Hero. CW3 U.S. Army Airborne with a Bronze Star Medal and Army Commendation Medal. 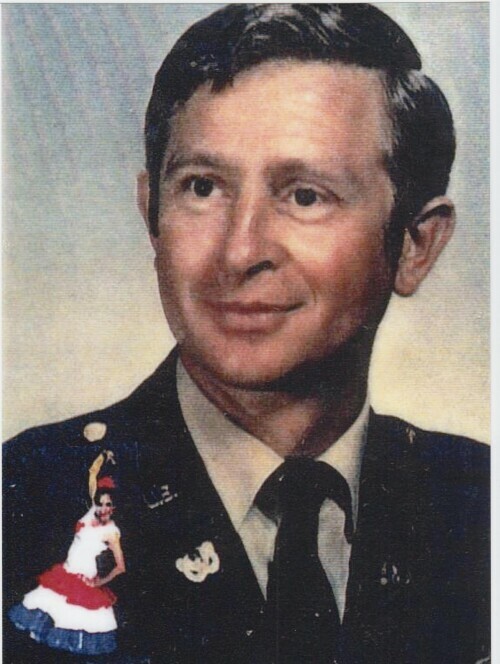 "Charles Sullivan's military picture in the 1960's during the Kennedy Administration. Charles L Sullivan who was a Vietnam Hero. CW3 U.S. Army Airborne with a Bronze Star Medal and Army Commendation Medal. Charles L. Sullivan did three tours in Vietnam. Charles was born in Purvis Lamar, Mississippi. Charles graduated from high school and soon after enlisted in 1965 in Ft. Rucker, Alabama at the age of 20 years old. After serving basic training, he attended aviation school and became a pilot. He served in Germany for a time and then was deployed to Vietnam. In Vietnam he was a pilot; he flew Hughes and fixed wing aircraft. He would pick up wounded soldiers and medevac these soldiers out of Vietnam. Charles would fly them to safe areas to get treatment or to hospitals. He loved flying and more so loved his job in Vietnam. Charles was a true warrior, very patriotic and a very charismatic man. He was most kind and charitable. He also had a wonderful sense of humor. His laughter and his jokes were impressionable. He was also very witty when it came to discussing politics. He arrived at Fort Bliss around 1980, and was a helicopter instructor at Fort Bliss. 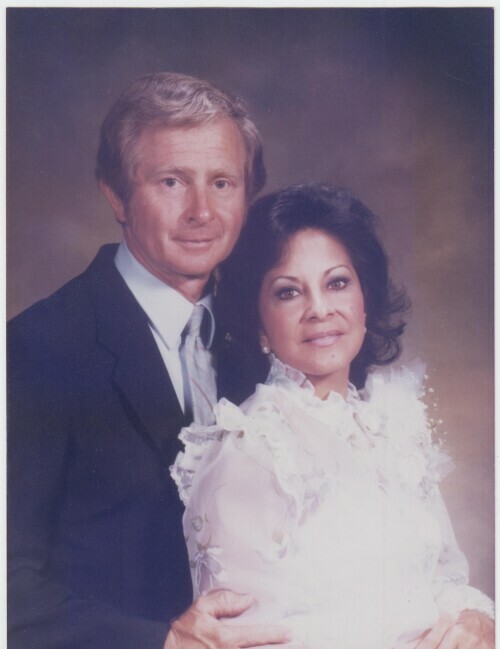 Charles met his soon to be wife, Consuelo, nine years later in El Paso, Texas. Charles and Consuelo married in the Fort Bliss Chapel. 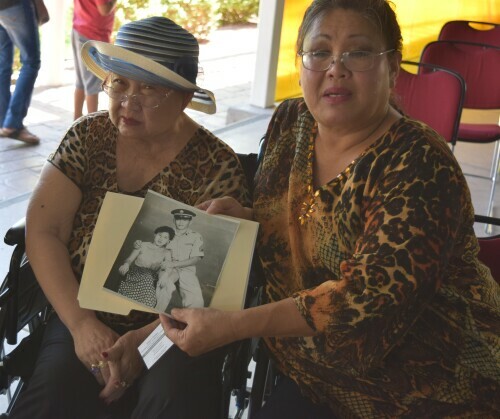 After retiring from the Army, Charles resided in El Paso, Texas with his wife, Consuelo, before succumbing to the effects of Agent Orange in 2013. 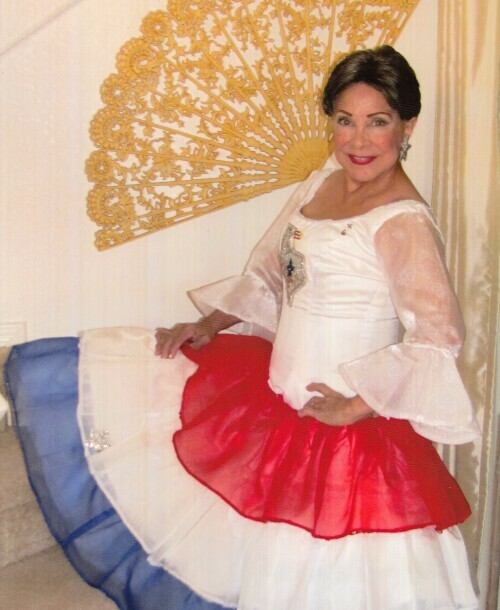 Charles is survived by his wife Consuelo Sullivan, Chaplain of the Military Officers Association of American who still resides in El Paso, Texas. 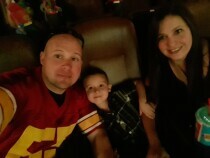 He is also survived by his stepdaughter, Priscilla Wiekel, residing in Germany, his step-son Casey Neil Vanderpool, from Fayetteville, Arkansas, his stepdaughter, Cynthia Vanderpool Garcia from Silver Spring, Maryland, and his son David Sullivan who lives in Texas. 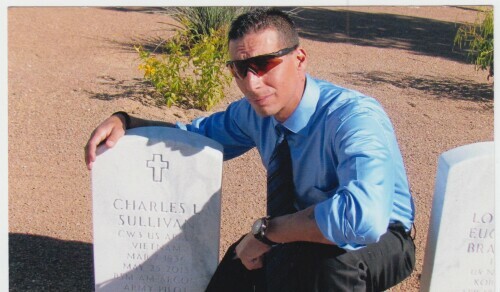 Veteran Charles Sullivan's story as told by his wife, Consuelo Garcia Sullivan to Sally Fierro, faculty University of Phoenix." The Sullivan's celebrating alongside their pet Charlie in central El Paso. Charles L Sullivan who was a Vietnam Hero. CW3 U.S. Army Airborne with a Bronze Star Medal and Army Commendation Medal. 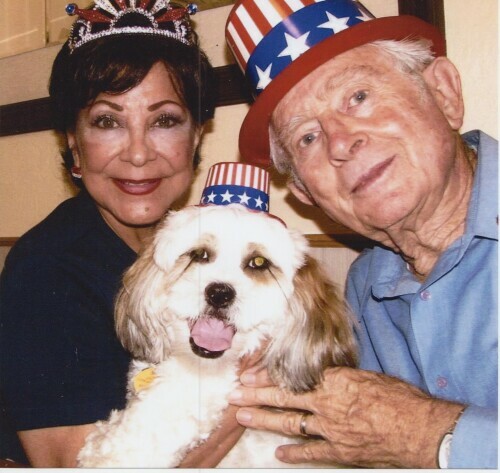 Connie and Charlie Sullivan enjoying an embrace alongside their furry friend Clarie in 2011. 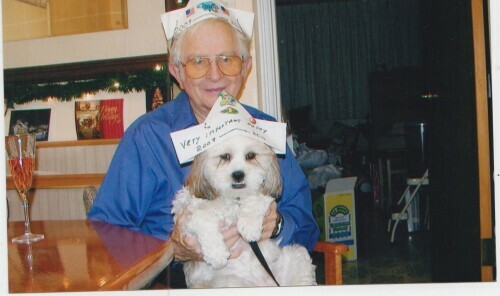 Local El Pasoan Charles Sullivan celebrating New Years Eve in 2010 alongside Charlie. Charles L Sullivan who was a Vietnam Hero. CW3 U.S. Army Airborne with a Bronze Star Medal and Army Commendation Medal. 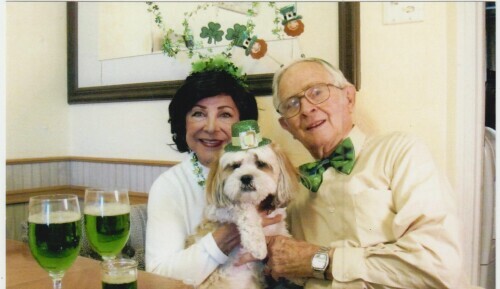 The Sullivans Celebrating Saint Patrick's Day in 2011 alongside Charlie in 2011. 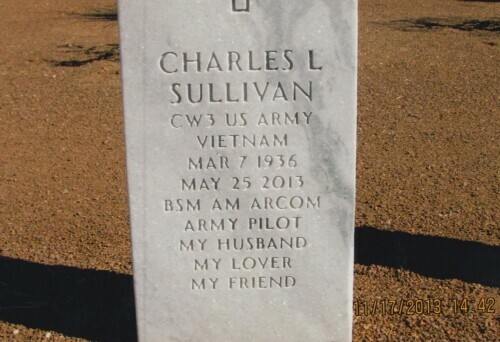 Charles Sullivan was an Army pilot in Vietnam. 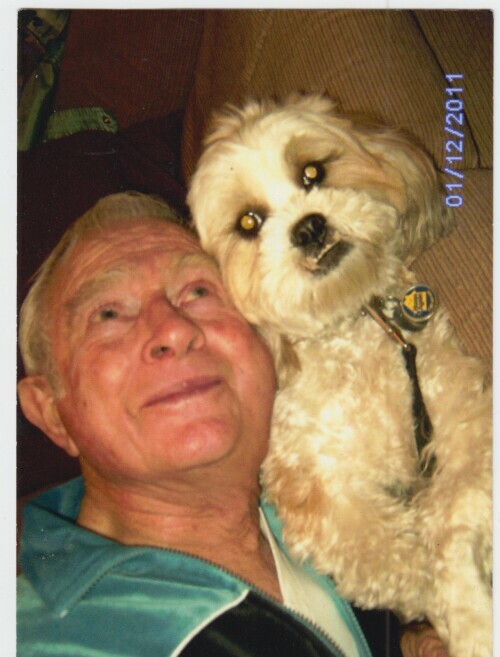 Charles Sullivan and Charlie enjoying an embrace together. The connection between dog and men. Charles L Sullivan who was a Vietnam Hero. CW3 U.S. Army Airborne with a Bronze Star Medal and Army Commendation Medal. 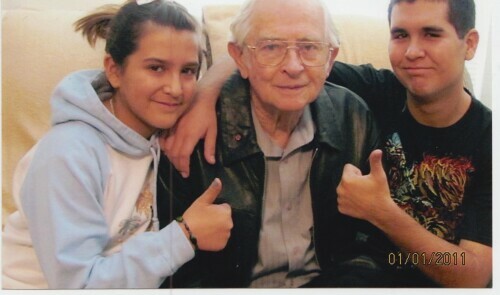 From left to right: Milagro Weikel, Charles Sullivan and Andrew Weikel. Charles L Sullivan who was a Vietnam Hero. CW3 U.S. Army Airborne with a Bronze Star Medal and Army Commendation Medal. Casey Vanderpool visiting his stepfathers grave. Charles L Sullivan who was a Vietnam Hero. CW3 U.S. Army Airborne with a Bronze Star Medal and Army Commendation Medal. 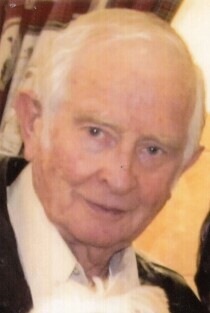 Charles L. Sullivan did three tours in Vietnam. Casey Vanderpol is an Iraq/Afghanistan Veteran and an Army Ranger. A wonderful Vietnam Veteran, Hero, My husband, my lover, my friend. Charles was a member of the U.S. Army and has a distinguished Army Commendation Medal, and an Bronze Star Medal. Charles L. Sullivan also did three tours in Vietnam. 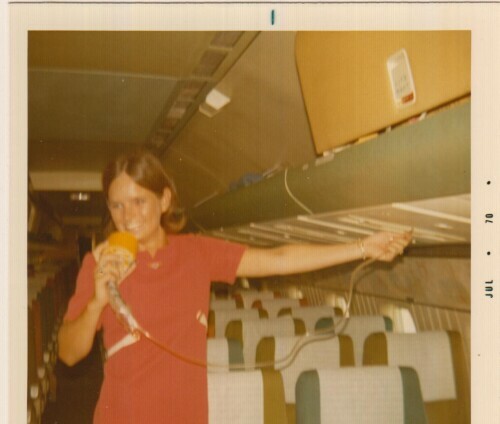 I was a stewardess for Overseas National Airways during the Vietnam War. This was entry flight to Tokyo on our way to bring soldiers home for the first time. 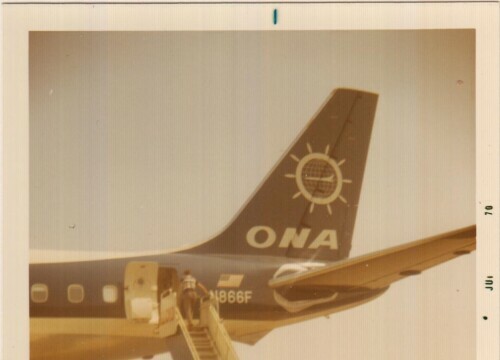 I flew for Overseas National Airways during the Vietnam War - taking soldiers to and back home again. For heroism in ground combat against a hostile force in the Republic of Vietnam on 12 February 1969. 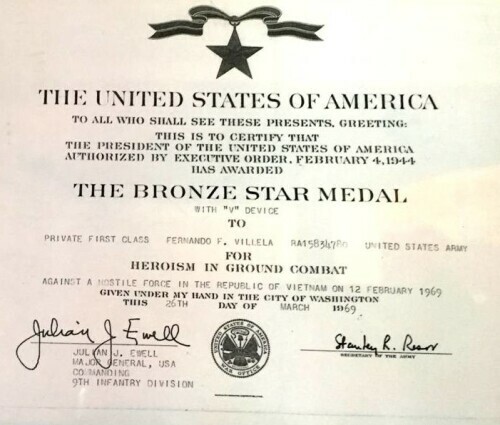 Bronze Star Medal given to Fernando F. Villela from El Paso, Texas. 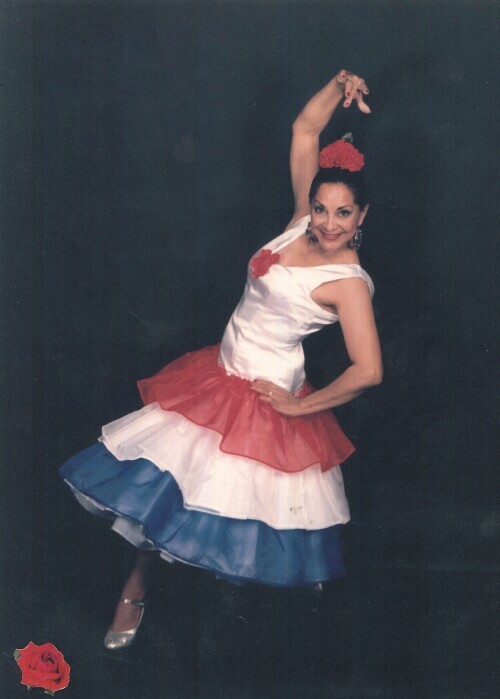 Connie Garcia Sullivan - dancer in the El Paso, Texas area. Also the widow of Charles L Sullivan who was a Vietnam Hero. CW3 U.S. Army Airborne with a Bronze Star Medal and Army Commendation Medal. Charles L. Sullivan did three tours in Vietnam. Charlie Brown Christmas play performed at the Chester E. Jordan Elementary School ---a public school in El Paso, Texas.